It's as easy as ABC! 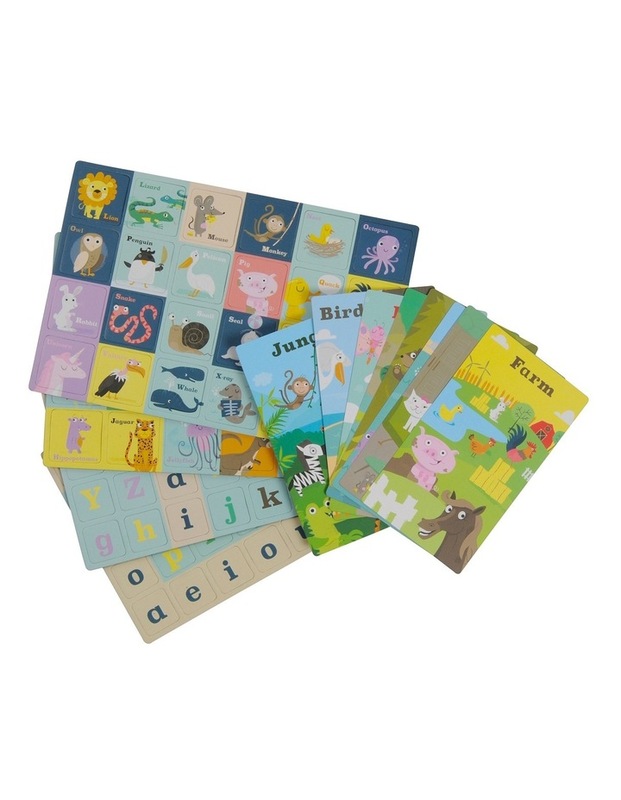 A fun, interactive way for early learners to discover the alphabet, recognise words and form connections between letters and sounds. 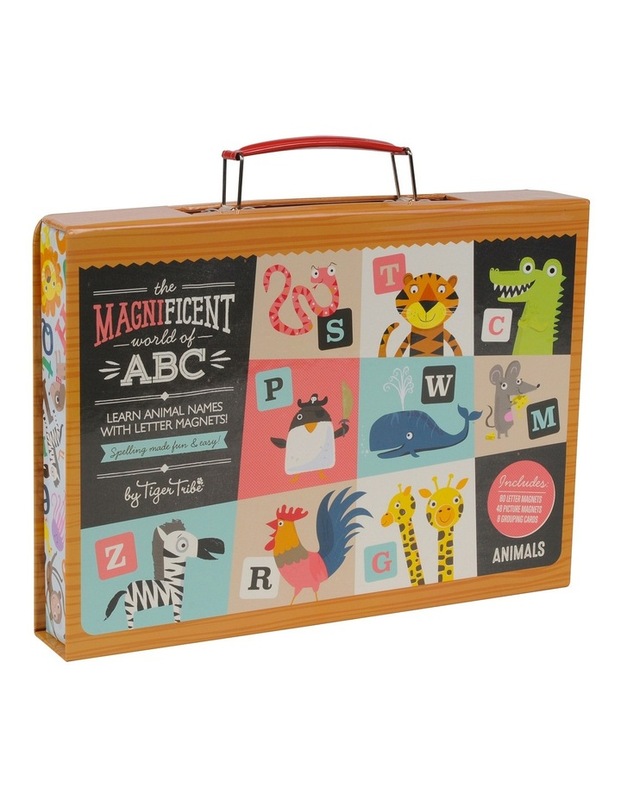 Tiger Tribe's brand new Magnificent World of ABC provides 3 simple steps to help kids build confidence on their road to literacy. 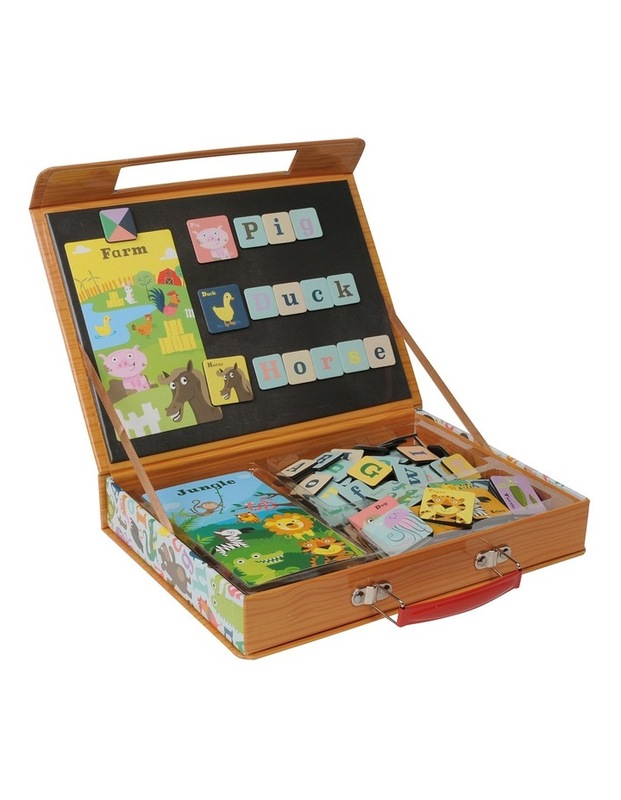 The package contains 80 letter magnets, (upper lowercase) 48 picture magnets and 8 grouping cards.